Ideas For Your Short Istanbul Layover Tour, Range of Istanbul Small Group Tours, Well Tailored Istanbul Local Trips and Guided Istanbul Layover Tour Packages. Istanbul is one of the marvelous destinations in Europe there are many things that Istanbul can offer. It doesn’t really matter if you are spending many days there, even a short Istanbul layover tour would be quite enjoyable. There are many ideas for Istanbul layover tour due to the rich diversity of the city. There are numerous one-day and half-day tours. This is in addition toseveral many other places to explore and activities to do within 2 to 3 hours in the city. One of the most popular stopover in Istanbul is Istanbul by Night. This would be the most perfect choice for tourists who have from 3 to 5 hours to spend exploring the most marvelous highlights of the city in the evening. The tour would include many remarkable places to explore like the Blue Mosque, Hagia Sophia, Hippodrome, Taksim Square, and a ride in the Bosporus Strait. Guests would be picked up from the airport, enjoy their tour, and then go to whenever they desire within the city. Another wonderful choice for a remarkable city tour Istanbul would be the Bosporus and Taksim Square tour. This can be carried out anytime during the day. It includes exploring many interesting places including Taksim Square, the Mosque of Rostom Pasha, Galata bridge and tower, and the spices market of Istanbul. 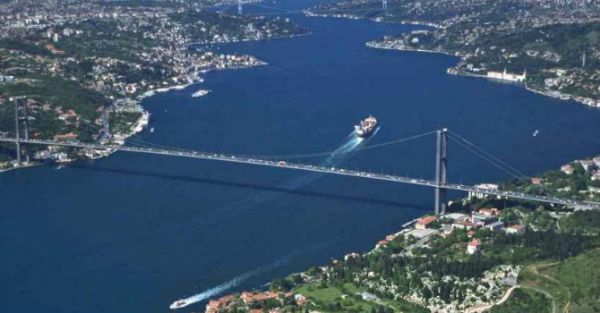 This is in addition to the superb ride in the Bosporus Strait dividing the city into two sections; the Asian section to the East and the European section to the West. The most wonderful factor concerning short layover in Istanbul is that tourists arriving in the city can pick and choose the monuments they desire to explore and we can provide them with the best tours with the best usage of time, the most outstanding services, and the best prices in the market. We can go explore Sultan Ahmed Blue Mosque with Hagia Sophia in one tour. Those who are fond of shopping can choose only to go to the Grand Bazaar, or perhaps add the spices’ market to their tour. A tour to the classical monuments of Istanbul is also quite recommended. This would usually include the Blue Mosque, Hagia Sophia, Top Kapi Palace, the Grand Bazaar, and the Hippodrome. 11 Nights Tour of Egypt and Turkey. 12 Days Cairo Istanbul Tour to Giza Pyramids, Nile Cruise Luxor Aswan, Istanbul & Ephesus. Book Turkey and Egypt Tours to Wander The Historic Attractions and Sightseeing Places in Turkey and Egypt! Best Turkey Vacations. 8 Day Turkey Vacation Packages to Cappadocia, Gallipoli, Hierapolis, Bursa, Pergamum, Izmir and Istanbul Turkey Vacation Packages. Perfect Turkey vacation Itinerary 7 Nights to Most Attractions and Points of Interest. Book 9 Nights Turkey Holidays. 10 Day Turkey Package Holiday to Wander Cappadocia, Ephesus, Izmir, Kusadasi, Pamukkale & Istanbul Turkey Package Holidays to Turkey. Turkey Itinerary 10 Days To Travel Around Turkey Tourist Attractions. Combined Egypt and Turkey Tours. Best Turkey and Egypt Tours Itinerary 8 Days to Istanbul and Cairo. Book Egypt Istanbul Tours to Uncover Bosphorus, Rumeli Fortress, Topkapi Palace, Haghia Sophia, Blue Mosque, Green Bursa, Giza Pyramids, Old Cairo & Egyptian Museum. Gulet Cruise in Turkey . 8 Day All Inclusive Gulet Cruise Turkey From Marmaris to Ekincik, Kizil, Gocek Island, Bedri Rahmi & Kumlubuk Bay. Fethiye Sailing Itinerary Departs Sunday With Crew service, Equipment, Yatch Insurance, Soft Drinks & cookies. 3 Nights Istanbul Layover Tours. 4 Days Short Layover in Istanbul to Blue Mosque, St. Sophia, Hippodrome, Topkapi Palace & Chora Museum Istanbul Stopover Tours Package. Stopover in Istanbul With Accomodation, Tours and Transfers Included. Enjoy Gulet Charter Cruise Turkey and Book 4 Nights Turkish Gulet Cruie All Inclusive. 5 Days Marmaris Turkey Sailing to Ekincik Gulf, Kizil Island & Fethiye. Marmaris Turkey Sailing Gulet Departs Saturday with Equipment, Cruise Insurance, Soft Drinks & Cookies. Luxury and Budget North Africa Tours, Private and Group North Africa Trips, Escorted Trips to Egypt and Morocco. Travelers are already paying for the high prices of the airlines’ tickets, so why not enjoy more destinations in one perfectly organized travel package. Luxury and Budget Egypt Tours From UK, Private and Group Egypt Tour Packages From Uk to Cairo, Nile Cruise and Stay. British travelers have been exploring Egypt since Middle Ages, there is usually a large number of vacationers who go on Egypt tours from the UK. Luxury and Budget Egypt Tours From South Africa, Private and Group Egypt Holiday Packages From South Africa to Cairo, Nile Cruise and Stay. Book Johannesburg to Egypt Packages. Travelers coming from South Africa to Egypt may obtain visas through internet. Enjoying Egypt tours from Singapore has become quite popular among travelers from this sister country. Browse Budget and Luxury Egypt Tours From Singapore, Private and Group Egypt Travel Package From Singapore to Cairo, Nile Cruise Luxor Aswan & Red Sea. Visiting Egypt is a dream of many People. It enjoys long impressive history that grab the attention of travelers to browse Budget and Luxury Egypt Tours From Canada, Private & Group Egypt Travel Packages From Canada to Cairo, Nile Cruise & Red Sea. Find Budget and Luxury Escorted Tours to Egypt, Private and Group Escorted Tours of Egypt to Cairo, Nile Cruise Luxor Aswan & Red Sea. Book Escorted Egypt Tours and Travel Around Egypt Sightseeing Places and Points of Interest in comfort and Hassle Free. Find Budget and Luxury Egypt Short Break, Private and Group Cairo City Breaks to Giza Pyramids & Nile Cruise Luxor Aswan. Book Cairo Short Breaks and Luxor City Break Trips to Karnak, Hatshepsut Temples and Valley of Kings. Find Budget and Luxury Private Guided Tours of Egypt, Escorted Egypt Private Tours Package to Cairo, Nile Cruise Luxor Aswan & Red Sea. Book Private Guided Egypt Tours to Egypt Top Tourist Attractions With Personal Tour Guides at Reasonable Rates. Browse Egypt Budget Tours, Private and Group Egypt Budget Travel Packages to Cairo, Giza Pyramids, Nile Cruise and Stay. Book The Best Budget Tour of Egypt From Wide Selection of Well Tailored Egypt Travel Itineraries to Most of Egypt Tourist Attractions. Find Your Holidays to Egypt From Range of Our Private and Group Sharing Cheap Package Holidays to Egypt Pyramids, Cairo and Nile Cruise. Book Cheap Egypt Holidays to Most of Egypt Points of Interest to Wander Modern and Egypt Attractions. Plan Tours to Egypt From USA?. Find Private and Group Egypt Tour From USA to Cairo and Nile Cruise. Collection of Budget and Luxury Egypt Vacation Packages From Us. Wander All Features Sightseeing Places in Egypt in Comfort & Affordable Rates. Book Solo Travel Egypt Package From Range of Private and Group Cairo Solo Travel, Luxury and Budget Solo Travel to Egypt. Book Egypt Tours For Solo Travellers to Cairo, Giza Pyramids, Nile Cruise Luxor Aswan, Sinai, Red Sea and Egypt Western Desert Safaris. Looking For Deluxe Tours Egypt?. Find Luxury Egypt Tours From of Our Best Luxury Egypt Holidays to Cairo and Nile Cruise. Book Luxury Egyptian Tours to Cairo, Luxor, Aswan & Abu Simbel. Sail The Nile and Relish Sahara Desert Adventure, All in Comfort & Luxury. Relish Cairo and Nile Cruise Package to Giza Pyramids, Cairo, Nile Cruise All Inclusive From Luxury and Budget Cairo Nile Cruise Package. Book Luxury and Budget Pyramids and Nile River Cruise to Uncover the Wonders of Ancient Egypt From North to South at Affordable Rates. Relish Jordan Tours From Canada, Travel to Jordan From Canada to Petra, Wadi Rum, Dead Sea or Combine Egypt and Jordan Tours From Canada. Traveling from Canada to Jordan is memorable experience being one of the impressive destinations in Middle East. Browse Range of Our Best Luxury Holidays Jordan, Private Jordan Luxury Travel to Amman, Wadi Rum, Dead Sea and Petra. Book Luxury Vacations Jordan to Wander Sightseeing Places, Culture and Attractions of Jordan in Luxury and Unique Ambience. A question that many travelers wonder about before visiting any destination usually is related to the costs of a vacation. For example, is Jordan expensive for tourists? Will I have to break the bank to enjoy a vacation in Jordan? Planning Egypt Jordan Tours Package From India? Book Luxury and Budget Egypt and Jordan Tours From India, Group and Private Tours Egypt and Jordan to Uncover Giza Pyramids, Cairo, Luxor, Aswan, Abu Simbel, Petra, Amman, Wadi Rum, Dead Sea and Much More. Combined Egypt Jordan Tours From Australia, Relish Budget and Luxury Tours to Egypt and Jordan From Australia. Book Egypt and Jordan Private Tour From Sydney to Pyramids of Giza, Petra, Nile Cruise & Wadi Rum. Wander The Attractions of Both Countries in Luxury. Planning Tours to Jordan From USA? Well, there are some important issues and tips you need to consider. First all US citizens need a visa to enter Jordan. Visas can be purchased from the Embassy in US or from the Jordanian airports & borders. Browse Range of Jordan Tours From Dubai, Private Luxury Jordan Tour Packages From Dubai, Group Budget Tours to Jordan From Dubai to Amman, Petra, Wadi Rum, Dead Sea and Many Other Tourist Attractions in Jordan. Book Your Weekend Trip to Jordan From Dubai Online Now. With several unpleasant events taking place in the Middle East and with the presence of ISIS terrorist groups in the region, many tourists wonder about traveling to Jordan dangers and If is it safe to travel to Jordan right now? Looking for Cheap Jordan Tours? Here is a List of Jordan Budget Tours Packages to Petra, Amman, Dead Sea and Wadi Rum. Book Your Budget Tours Jordan With Us and Stay Assured That You Gain Great Travel Experience in Comfort and at The Best Available Rates. Range of Jordan Jordan Private Tour Packages, Luxury and Budget Jordan Private Tours Itineraries. Going on private tours to Jordan has many several advantages. Wish to have your dream journey to Jordan? Why not get your time to the max in Jordan private tour?! Range of Middle East Tours and Travels. Budget and Luxury Middle East Vacations to Egypt, Jordan, Turkey and Jerusalem. Private and Group Tours to Middle East. You have already payed for the airlines, why don’t you maximize the fun and have a longer vacation? !